What’s God’s opinion of you and me? Your entire life can be blessed or cursed by whether you ask the right questions–and, more importantly– how you answer them. 2. Then, how do I come into right relationship with Him? The answer to question two led me personally to the Bible many years ago, gave me an understanding of eternity, and settled me that faith in Jesus Christ was the key to experiencing eternal life. Asking and answering the right questions can have eternal ramifications. I was witnessing recently to a friend who believed there was a Creator, but felt that God was so big and immense that we really couldn’t know Him in any definitive way. 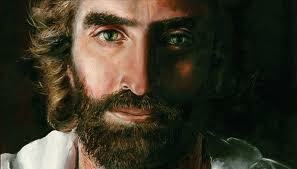 He seemed to be hiding behind the greatness and majesty of God to say that we really couldn’t be certain about Him. I nicely disagreed. Yes, God is bigger and more complicated than we could ever imagine, but He is also smart enough and loving enough to reveal who He is to small, finite, human beings. He wants us to share relationship with Him, enjoy His friendship and be secure in His love. He chose to reveal Himself in two major forms. First, through the world’s most amazing book–The Bible–which I learned to love and trust as my compass in life. It has no equal. Secondly, and even more amazingly, He chose to come to earth in the Person of Jesus Christ to show us exactly what God is like and how we can be restored to friendship with Him. Yes, God is beyond comprehension. But he remains intimately knowable because He has chosen to reveal himself. That brings us to God’s thoughts about us–his opinion of us. Does God have an individual opinion about me as a human being? If he does, can I know what it is and respond appropriately to it? Eugene Peterson is the well-known author of The Message Bible which has sold more than ten million copies. I choose a different version of the Bible each year to do my daily devotions. This year I chose The Message. I almost stopped reading it a month ago when Peterson was quoted in an article as having changed his understanding of marriage. A few days later, he “recanted” what he’d said and reiterated that he believed in God-ordained marriage between a man and woman. So, I kept reading The Message in my morning quiet time. I enjoy The Message as a colloquial version. I don’t learn systematic theology from it, but it warms and warns me through its luscious vocabulary and down-to-earth style. Recently, I found a phrase in its pages that jumped out. In a number of places in the Old Testament history books, Peterson translated “in God’s eyes” with the modern phrase, “in God’s opinion.” That really struck me. God has an opinion about people. About kings. About you and me. The book of 2 Chronicles tracks the up and downs of the southern kingdom of Judah during the times of the kings–seasons of cultural revival and societal decline. Their historical fortunes seemed to follow, to some degree, the goodness or badness of their kings. First, there was King David. God said about him, “He’s a man whose heart beats to my heart, a man who will do what I tell him” (Acts 13:22). That a great opinion from God! Then there was Solomon, who started well, but ended poorly (following the foreign idolatry of his many wives). Here are a few more descriptions of the kings. “Asa was a good king” (2 Chr. 14:2). “Jehoram–God considered him an evil man” (2 Chr. 21:6). “Azahiah–God also considered him evil” (2 Chr. 22:4). “Amaziah–“he lived well before God, doing the right thing for the most part. But he wasn’t wholeheartedly devoted to God” (2 Chr. 25:2). “Hezekiah–“In God’s opinion he was a good king” (2 Chr. 29:1). “Manasseh–“In God’s opinion he was a bad king–an evil king” (2 Chr. 33:1). “Josiah–“He behaved well before God” (2 Chr. 34:1). “Jehoiakim”–“In God’s opinion he was an evil king.” “Zedekiah–“As far as God was concerned, he was just one more evil king” (2 Chr. 36:11). Did you notice the diversity of God’s view of these leaders? I once did a study on Israel’s kings and noted their vast differences toward God. Whole hearts, half hearts, divided hearts, devoted hearts, inconsistent hearts, careless hearts and evil hearts. It also struck me that a person’s heart could be inclined toward God in their early years but retreat into disobedience as they aged (Solomon). Or a king could be evil for most of his life, but then repentant and good at the end (Manasseh). It also struck me that a father could have a devoted heart to God (Hezekiah), but his son developed a wicked heart (Manasseh). Manasseh’s grandson then lived in powerful obedience to God (Josiah), but Josiah’s two sons turned away from God (Jehoiakim and Jehoiachin). Jesus taught the same truth about human hearts in the parable of the sower (Mark 4:1-20). He proposed four “attitudes” toward God in this story–hard, shallow, distracted, and sincere. I’m sure we all encounter these different types of hearts in friends and acquaintances around us–or on the evening news. But the phrase “in God’s opinion” still stands out. Right now, the God of the universe has an opinion of me. I’m not lumped into some general category of being fallen or being redeemed. God sees the actual state of my love and commitment to Him. He looks at me with a righteous opinion of who I really am. Conclusion? Getting to first base with God is discovering that opinion–being honest about yourself–and yielding your heart to His cleansing and sanctifying power. He alone has the ability to shape our hearts into a David, Hezekiah, Jehoshaphat, or a Josiah. Right now–at this moment–what is God’s opinion of you (and your heart)? It’s not too complex to God. It’s also redeemable. Shapeable. Forget about peer pressure. Don’t worry about what any human being thinks about you. The right question is: Father, what is your opinion of me and my heart? Find that answer. Accept it. Then grow your heart toward God. And take “The Message” of his power to change and save human hearts to every person you meet. Thanks, Ross. I looked at the Scripture references, and you make a good point. I was not surprised because of his American Presbyterian heritage. They are going down the tubes quickly. He got it right in the OT (e.g. Leviticus 18:22). But that Scripture is hard to distort and is "safer" because it can be rationalized as a part of the Old Covenant. I pray that his "recanting" was honest and genuine. I'm using your book "We Cannot But Tell" (along with Danny Lehmann's "Beautiful Feet" in a class on evangelism that I'm teaching at Faith International University. Thanks for your example of a life of sharing your faith. I know Eugene has some very good phases in his version of the Bible. But I was not surprised when he came out and said that he would marry gay couples a month or so ago. If you look very carefully at the passages in the NT that talk about sexual immorality and homosexuality which he translates (ie 1 Cor 6:9-11; Galatians 5:19-21; Eph 5:3-6 etc. etc.) you will see what I mean.. There are those who say he changed his mind,but we have to ask why…. Thanks, Tom. Yes, Calvary's blood speaks of God's desire for ALL of us to be saved–to be reconciled to Him. But God also looks on us individually, just as He did the kings in the Old Testament. He knows where we stand in relationship to our heart receiving that salvation and our subsequent growth in character. His "opinion" should prompt repentance and a changed life. And godly character will ultimately yield, "Well done, good and faithful servant." I well suppose that His opinion of us is as seen through the "lens" of His precious Son's blood, insofar as we have accepted His Son as our Savior and Lord. I love Him. I love Him more than I've ever loved Him. He is a great Abba. Nice to hear from you. I am praying for your adoption situation and your work. You're a great lady.